Independent travel is a crucial lifeskill that helps to give people the freedom to fulfil their potential and live a full life. 'Travel training' is therefore a very important skill for life. Being able to travel with incrementally less support allows a young person to access more social and educational activities and helps them to develop and maintain positive relationships. Independent travel also helps to open up employment opportunities. This all contributes to the potential for a more fulfilled life. Within our Specialist Colleges we appreciate that everyone has their own specific needs and as a result should have an in-depth learning programme that provides tailor-made, needs-led opportunities to learn skills for independent travel. College students will be directly involved in planning and undertaking journeys using different forms of public transport. They will learn about safe practice as well as the associated social skills and citizenship awareness needed. The focus and aims of the travel skills programmes are to increase the person’s independent functioning, support their knowledge and awareness of local/community facilities they can access, and promote emotional and physical well-being. 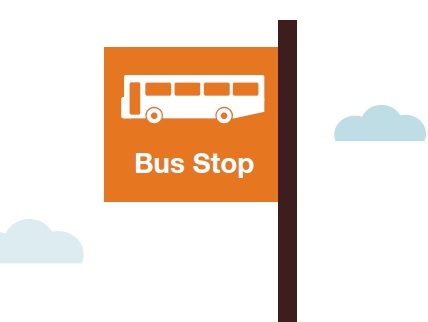 The colleges run activities across a number of different sites (learning locations) where students will be supported to access public transport facilities as part of their learning programme. For those not yet ready for this step we provide a dedicated transport and driver service. This enables the person to access their learning with smaller steps of reduced support. • The locations of some of the activities on offer are more rural with limited public transport access. They may be delivered at other Hesley Group establishments or elsewhere in the community. The colleges' transport/driver resource therefore provides a valuable service as part of the young person’s programme. • The complexity and bespoke nature of every individual’s programme requires careful and considered logistical considerations. Allocation of these resources supports the young person’s pathway and allows for specifically tailored activities to take place. • The whole process of following a daily schedule is a focus for the young person as they get ready on time and prepare themselves for the journey. Whatever the form of transport, this is planned and delivered as a learning opportunity.